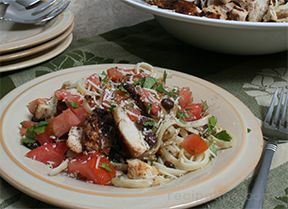 Italy meets the American Southwest in this tasty dish that combines the Italian favorites of linguine, chicken, tomatoes, and garlic with the popular black bean, chili powder, jalapeÃ±o, and cilantro flavors of the Southwest. 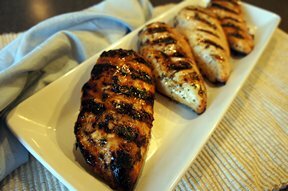 Place chicken breasts in large plastic bag. Add garlic, chili powder and cumin. Seal bag, shake to combine. Grill over medium heat until no longer pink in center, 7-10 minutes each side. Note: you may also sautÃ© in skillet with 3 tablespoons olive oil. 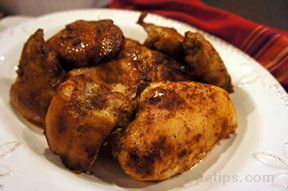 In medium skillet, add 1 tablespoon olive oil. Over medium heat, add jalapeÃ±os and green onion. SautÃ© 3-4 minutes. Stir in black beans. Heat for 3-5 minutes. Place cooked pasta in large serving bowl. In the center, mound black beans. Around sides, place chopped tomatoes and grilled chicken that has been cut into bite size pieces. Top all with cheese and cilantro. Right before serving, toss to combine.